Icon is a word much overused in travel writing. But what I have here are the indisputable icons - the instantly recognisable, the internationally renowned. Such world wonders are not the be all and end all - but they are key punctuation marks in any half-committed traveller's bucket list. In short, you ain't seen much if you ain't seen them. It's only when you've seen the globe's most impressive sights that you can truly say you've arrived. On our first morning on Malaysian Borneo we headed straight to the Semenggoh Wildlife Reserve - one of the best places in the world to see semi-wild orang-utans in their natural habitat of the rainforest. Rescued orang-utans, around twenty five of them, have free reign over six square kilometres of wild rainforest around which there is no fence. They are tempted down to a viewing area with the promise of their favourite foods; coconuts, durian fruit and the obligatory banana. It's entirely up to them if they put in an appearance and so, setting off for the orang-utans' morning feeding time at 9am, we knew there was absolutely no guarantee of seeing anything. We dared not get our hopes up - after all, these these wild animals and they will do exactly what they please. But luck was on our side; a total of eleven orang-utans put on a circus-like performance . I wasn't able to go to the famous Sydney Mardi Gras in 2017; I'd been struck down with a cold and, besides, it was also tipping down with rain. “I'll go next year”, I thought - after all, if you live in Sydney, experiencing the Mardi Gras - even once - is a must do. So, I joined 500,000 other revellers in lining the streets of the Sydney suburb of Darlinghurst - the hub of gay and lesbian life in the state capital to experience the Mardi Gras at an historic moment in Australian history. It has been a long road to acceptance for the gay community in Australia. As recent as the mid-1990s, gay men were being thrown to their deaths from the cliffs at Bondi and Tamarama beaches by groups of men out for night-time blood sport. Some of these deaths remain unsolved. 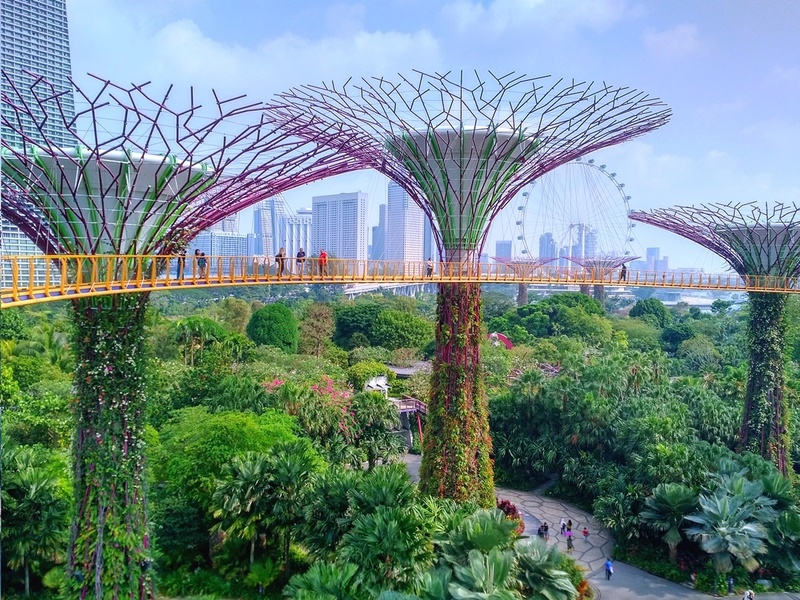 The perfect synergy between Singapore's futuristic modernity and nature is perfectly and most beautifully realised in the city's most iconic attraction: Gardens by the Bay, a fantasy land where science fiction meets botanical garden. A suspended walkway snaking through 'Super Tree Grove' and a light display choreographed to opera music sounds like yet anther naff family attraction about it; something straight out of Disneyland. Normally I avoid this kind of tourist confectionery like the plague. It is, however, an absolute triumph of human imagination; the twelve conically-shaped purple trees reaching high into the sky - a botanical climbing frame for real vegetation. This otherworldly spectacle is set against the futuristic, and increasingly iconic, buildings of Marina Bay. 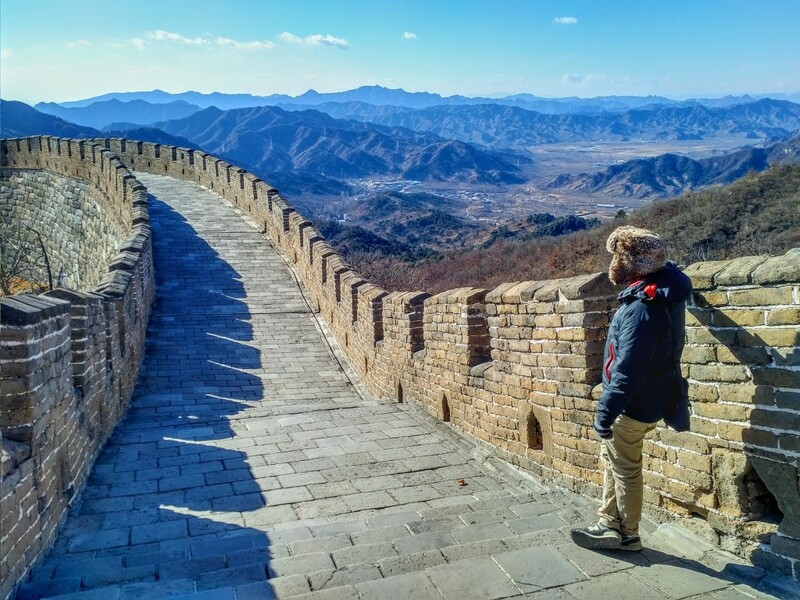 A trip to Beijing is a golden opportunity to walk along the famous Great Wall of China. I am very glad we ended up at the Mutianyu section because, off season and harder to get to, there were times when we had entire stretches of the wall, between its 26 Ming-era watchtowers, entirely to ourselves. Aside from a group of Americans, an Italian couple and, bizarrely, a stray cat, we walked the 3km stretch of Mutianyu without much human traffic to spoil the experience. The beige blocks of the wall snake up the taupe-coloured scrub of the mountainside and, set against the deep purples of the wider mountain range in the distance, cut a dramatic sight; this stretch of the Great Wall in winter is a travel photographer's dream. 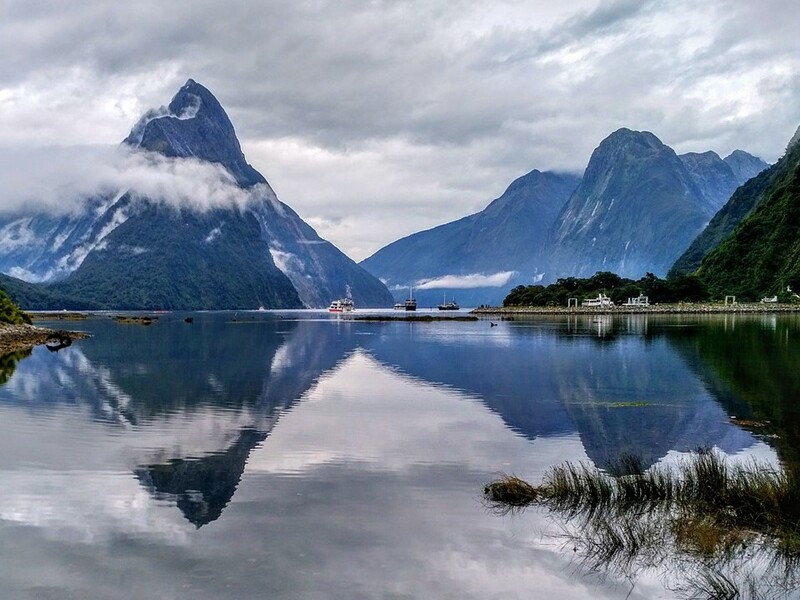 Further southward into Fiordland at Te Anau brought us tantalisingly close to the majestic Milford Sound (Piopiotahi), an iconic composition of interlocking mountains and the highlight of many a person's visit to New Zealand's South Island. We arrived early to avoid the tourist hordes who we knew would be winging their way on scores of coaches from 8am onward. We took a two hour cruise to get up close an personal with this famous fiord's waterfalls and seals but, perhaps ironically, I managed to capture a stunning photograph of Milford Sound from the car park. It is, quite arguably, the best photograph I have ever taken: the purple moodiness of the peaks are reflected perfectly in the fiord's morning tide. This just goes to show that often the best views to be had are ones that are free - no need for expensive helicopters or even the considerably cheaper boat cruise. 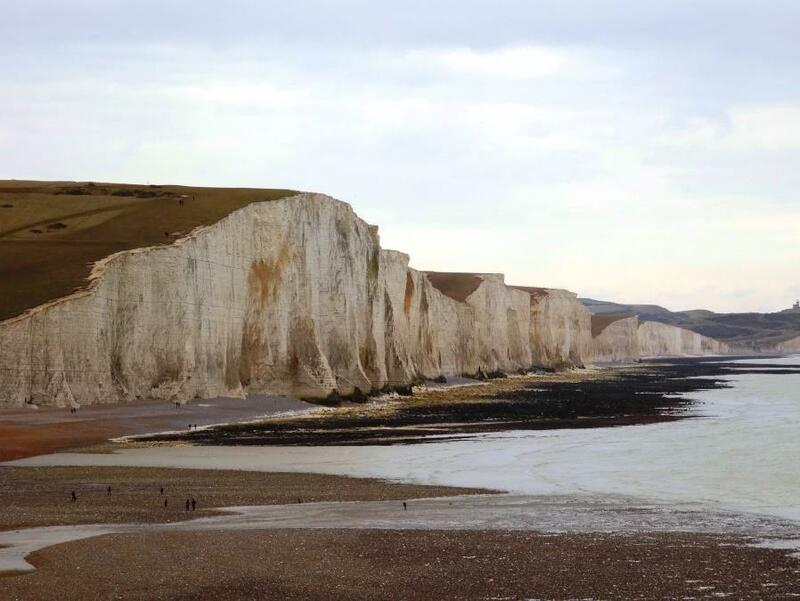 Nothing says England quite like the iconic chalk White Cliffs, known as the Seven Sisters, which look out across the English Channel at Seaford Head towards France. It's a sight which would make the hairs of even the most strident of English-born internationalists stand on end and, like a chalky beacon, they herald the approach of England to those approaching the Isle by water. Cited by Caesar and Shakespeare as well as being the place where the first ever international radio transmission was made by Marconi, has given these cliffs a metaphorical (aside from their obvious actual) longevity in the collective mind - a reliable constant in a world of change. Despite being the site where British forces returned from Dunkirk during WWII, these white chalk cliffs have also become a sign of peace for many - simultaneously embodying protection and a homely welcome. Giza is home to one of the remaining Seven Wonders of the Ancient World: the Pyramids. Getting to them takes just under an hour from Cairo and, surprisingly, there is no public transport which goes directly there from the capital. On a more positive note the pyramids are stunning and, in my opinion, the sphinx was even more so. I felt extremely lucky that the forecast of cloudy skies did not materialise blessing me with photos of brown pyramids set against bright blue skies. The drop in tourism also meant that the releasing of tickets in batches of 500 resulting in queues and disappointment no longer applied: we walked straight in with no queues and no waiting. 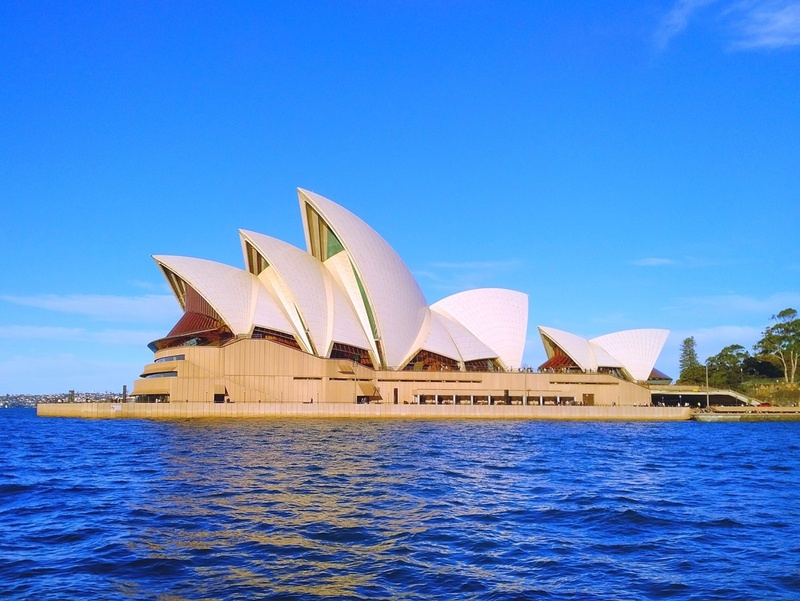 The afternoon comprised of an impatient walk, fuelled by excitement, down to Sydney's famous harbour with its iconic bridge and even more iconic opera house. A short ferry ride out to Kirribilli and back gave us advantageous views of both of them. In the back of my mind I couldn't help but brood over the fact that in half a day's time I'd be climbing to the top of one of them. The Sydney Harbour Bridge is the largest single span arch bridge in the world and was, incongruously, designed by a company in Middlesbrough, UK. For around £150, and by booking well in advance online, you can climb over the top of the bridge's famous iron arch. It just so happened to be my birthday, too. Viewing the famous Sydney Opera House and the glittering towers of Sydney's CBD from a unique 360 degree standpoint was a pretty amazing way to spend my birthday. Barcelona is renowned internationally for its architecture - most famously that of Gaudi. Anyone visiting the Catalan city is magnetically drawn to the Sagrada Familia - an as yet unfinished fairytale creation of his which fuses gothic and organic elements and which is the most visited sight in the country. The Sagrada's tapered spires appear to have grown naturally out of the ground like tree trunks. This comparison is particularly apt when you consider the length of time trees and the building itself have taken to grow. The Sagrada Familia: a work in progress for over a century. On the outside, the profile of the Sagrada Familia is dramatically affected surrounded, as it is, by ongoing building work, cranes and builders' netting. Its image is so obstructed that I almost didn't bother photographing it. However, it is on the inside where the marriage of art and architecture can really be appreciated. The Sheikh Zayed Grand Mosque is one of the world's largest with eighty two domes and golden chandeliers. A visit inside also means you get to walk on the world's largest hand-woven carpet. It is a breathtaking sight which ranks highly on my list of travel wow moments. Its white minarets and bulbous, egg-shaped domes are almost otherworldly in appearance. To enter a mosque removal of shoes and socks is required. Don't, however, remove them and then walk on the marble floor which has been in the sunshine all morning and burn the soles of your feet like I did. Havana is vibrant and alive. The pastel shades of buildings are only out-coloured by the neon worn by both men and women. Cubans dress to impress, too, and chances are you'll look dowdy and drab in comparison. Your travel slacks just won't cut it here. With this in mind make sure you include your most colourful and very best clothes amongst your travel khaki‎. We spent an hour with Paco and his 1950 Chevrolet convertible driving around Havana and along the Malecon - a bargain at 30CUC (£20). So often when I think of communism my mind skips to scenes of repression, creative sterility, social control. This doesn't seem to be the case in Cuba where creativity seems to be flourishing. Samarkand is the reason why so many people brave Central Asia. It was a key city along the Silk Road which linked China to India and Persia and is home to The Registan - a large ensemble of three azure coloured mosaic entrance ways topped gloriously with bulbous turquoise domes. It is quite a sight to behold and easily rivals, if not betters, in my opinion, other world sights like the Taj Mahal in India. The Registan has some of the world's oldest madresahs (old Islamic education centres) dating back, as they do, to the fourteenth century. Minarets and entrance ways tilt at dizzying angles thanks to the earthquakes they have had to endure over the centuries. The Registan ensemble is a sight which really did make me say "wow" out loud. Rangoon's sights are truly stunning. The Shwedagon Pagoda has got to be one of the most impressive things I have ever seen. Greeting you as you enter any one of four entrances is a pair of giant stone lions. Shwedagon, the most sacred Buddhist temple in the country, is a religious complex of world significance comprised of golden pagodas, stupas and as many Buddha statues as you care to photograph - and all the while monks and nuns drift past your lens. I hazard that the only reason this complex is not included in the list of the 'new7 wonders of the world' is because of Burma's recent isolation and status as pariah state which has lasted for over five decades. Only now is Shwedagon being lifted from relative obscurity to basking in a new-found international prominence - and rightly so, I believe. Bagan is famous for its ancient pagoda-covered landscape and, along with Lake Inle, is the must-see sight for anyone visiting Burma. We went one better by booking a hot air balloon ride at sunrise on New Year's Eve with 'Balloons Over Bagan', a company with a very good reputation and whose pilots are all English. We opted for the 'VIP' balloon service involving eight rather than sixteen passengers in the basket. As part of the deal we had transfers to and from our hotel in the Nyaung U township of Bagan, coffee and biscuits on arrival (in the middle of a field in the dark), champagne and croissants on touchdown, as well as a photograph (taken up in the air by a camera suspended on ropes) and a baseball cap. When a man is tired of London, he's tired of life" goes Samuel Johnson's famous maxim and, indeed, he is not wrong. Having been to some of the key international cities now, including New York, Moscow, Tokyo, Berlin, Istanbul, Toronto and Paris, it is only now that I can really appreciateLondon and its international significance. Kyoto's highlight, and possibly the highlight of the whole trip, is the Golden Temple. It sits on a small lake surrounded by reeds, Japanese maple and fir trees. The gold temple building reflects beautifully on the waters of the lake which plays host to a number of miniature islands with accompanying trees. The sight is so wonderful not even the rain on the day could spoil it - although the security guard, who kept racing us on because it was closing time, did. My photos of arguably Japan's most stunning sight were a little rushed. A tip: most tourist attractions in Japan (temples and places of historical interest) close around five o' clock so make sure you get there in plenty of time. Agra is about three hours' drive from Delhi, and holds much of the 'golden' in 'Golden Triangle' being home, as it is, to the world icon of the Taj Mahal. The Taj can, at some points in the year, be elusive. The fog that descends means that your hopes of capturing an amazing shot of the building may be dashed. Very luckily for us the fog cleared just in time.It was a case of taking the same photos we had tried previously but all over again! I am glad the fog lifted - to travel all the way to India and not be able to photograph what is arguably the world's most recognisable building, is a crying shame. Stonehenge is a mystical sight comprised of a series of standing stones, known as 'sarsans',arranged in a circular formation. 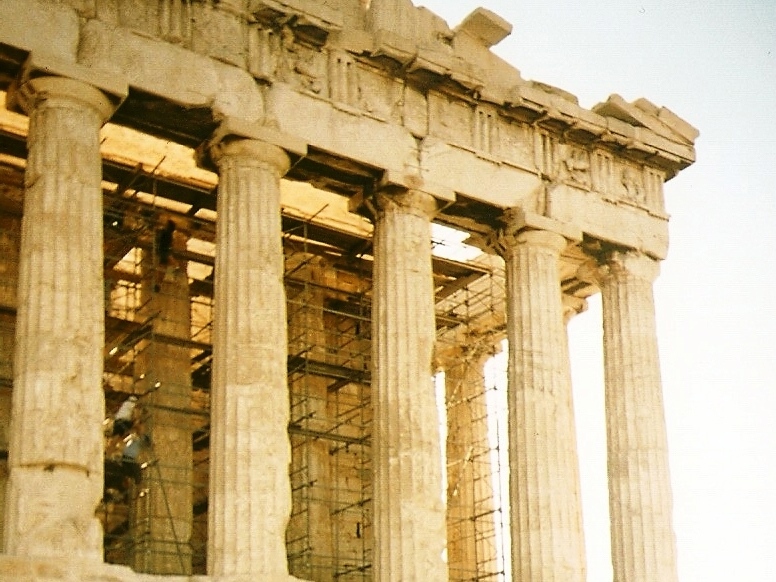 Historians continue to argue about the reasons for its construction with myths abound. 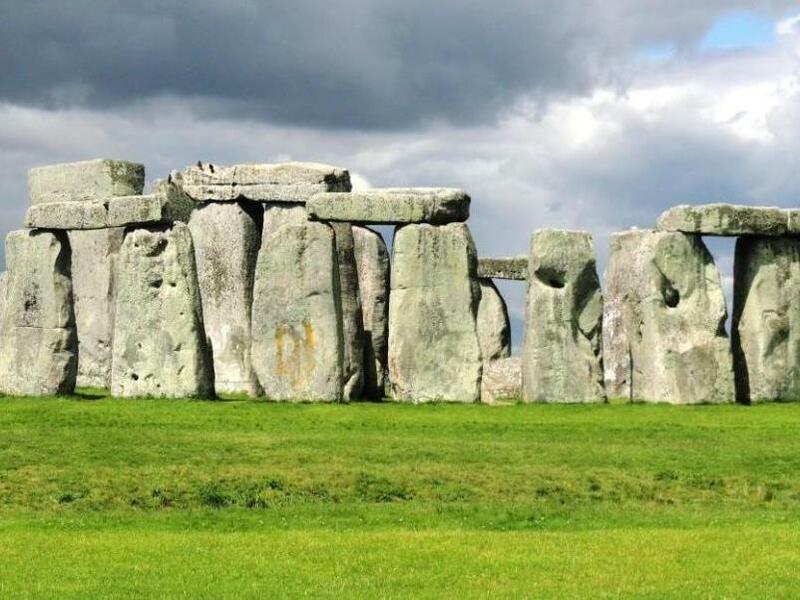 Owned by the British Crown and set within a landscape owned by the English National Trust, this ancient stone arrangement is a beguiling sight: it's difficult to know exactly what you're looking at. It's powerful and puzzling in equal measure and one of England's greatest treasures. 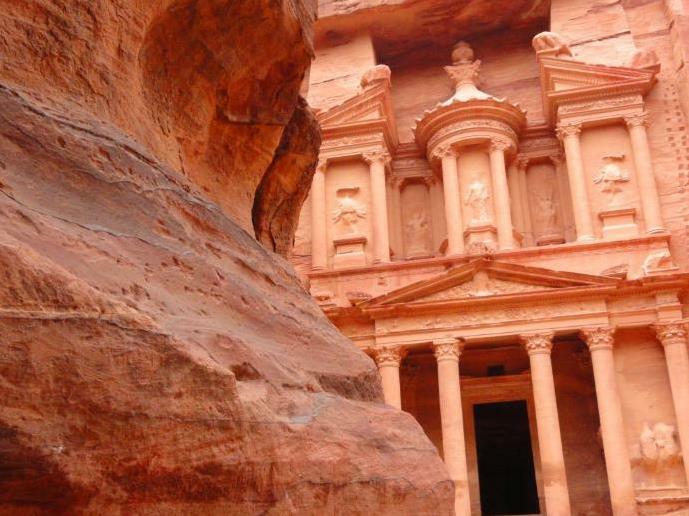 Petra is Jordan's must-see destination, so much so that it is the symbol of the country. Tell people you are travelling to Jordan and they all assume you're going to Petra. It is not an undeserved assumption, either. The BBC listed it as one of the '40 places you must see before you die'. Walking around the once capital city of the Nabataeans (the ancient peoples of Jordan), it becomes clear that what they achieved in this part of southern Jordan was rather remarkable dating back, as it does, to 1200BC. Their buildings are carved out of, and in to, the mountain sides with ornate and grandiose precision. Like Jerash, Petra had an eerie Pompeii or even Lost City of Atlantis feeling - a pervasive eeriness which could not be shaken off no matter how many annoying locals offering you donkey, camel or horse rides there happened to be around you. Niagara is a world-recognised icon of travel - one of the key sights to see before you die. Its iconic status means it attracts 25m visitors annually - a number which will not surprise anyone who makes a trip here. The falls were rather spectacular, but the sheer number of tourists and the tacky, mediocre restaurants lining the lake really detracted from some of the magic. It was crammed with families with children screaming, poor food outlets and questionable alternative tourist 'attractions'. It was a real tourist trap - a fate undoubtedly experienced by other sights of world renown. The area around the falls had a distinct whiff of theme park which was difficult to shake off. The views of Jerusalem's icon - the Dome of the Rock, glittering in the sun, was a sight to behold, as was the sight of scores of Jews kissing The Western Wall itself. More strangely was the sight of Israeli soldiers with machine guns dangling, looking serious and armed to kill, sharing such emotion and respect at the Wall. Never before have I seen religion and imminent violence live so tightly together. Whilst we were there, a group of ultraorthodox Jews, and an Australian tourist, were engaged in a heated debate which looked like it could so easily have spilled over into violence. It was time to leave the Western Wall Plaza and head for eats. I found out about the Home Ground Festival purely by chance. A post by ‘702 ABC Sydney’ on social media showed photographs of dancers and performers from the previous day. Home Ground was only a two day festival based in and around the Sydney Opera House and billed itself as celebrating ‘First Nations’ worldwide, not just Australia. This was its last day and it was midday already! We immediately scrubbed our plans to travel out to the famed Manly Beach (who wants to see yet another perfect Australian beach anyway?) and got the Sydney ferry from Pyrmont Bay to the port hub at Circular Quays. Istanbul's iconic sight, The Blue Mosque, was truly breathtaking and the city views from the Bosphorous River, and from our hotel, were rather impressive - a real mix of old and new. Minarets from a plethora of stunning mosques pierce the sky at seemingly every turn you take. Each minaret, each call to prayer, each dome signalling in the starkest fashion that you are on the very fringes of two continents and gestures very starkly towards the Middle East. I would like to think this is not going to be my only visit to New York; so full of colour and activity we only had time to cover the basic tourist honeytraps: the Brooklyn Bridge, Staten Island and the Statue of Liberty, Greenwich Village gay scene, Times Square, Central Park, Madison Square Gardens, the Flatiron and Chrysler buildings, Central Station and Macy's Department Store. New York was a wow place - the best city break going which trumped any other city I'd been to. We stayed some distance outside of Rome - accommodation was very difficult to find at the prices we were prepared to pay so annoying journeys back and forth on the very gritty and urban Rome Metro were the order of the day. Essentially we paid for a double room in someone's house - a little weird but I don't suppose you can blame anyone for wanting to make a bit of money on the side. I was really surprised with Rome: much of what we saw of 'off the beaten track' Rome was dirty and covered in graffiti. It had a real edge to it which I wasn't really expecting. Of course, visiting Rome meant I got to take in one of Europe's most famous sights - The Coliseum. Venice was one of those cities I'd wanted to visit for a long time and I was not disappointed. It is surely one of the great travel destinations of the world being, as it is, almost entirely unique with its waterways lapping against foundations of age-old buildings. Venice is, undoubtedly, Europe's most memorable and unique destination. St Mark's Basilica is, alongside the iconic gondolas, the undisputed landmark of this most watery of cities. First stop was the capital city of Athens where our flight took us. I am always keen that a trip to a country should, in most cases, capture the capital city somewhere. We spent a three days exploring the ruins of ancient Greece including the Acropolis Parthenon and the stunning Athens Amphitheatre. The vistas and almost 360 degree views of Athens from the top of the Acropolis Hill - home of the Parthenon - were superb. 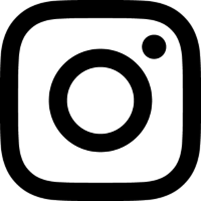 In the age of bucket lists and travel 'gramming, the world's most iconic sights are increasingly overrun with travellers, tourists and backpackers from all over the world wanting their fifteen minutes of fame with the icons in world travel. It is advisable that, wherever possible, you select the least busiest times of the day or week to see the Taj, the Pyramids at Giza or the Treasury at Petra. In countries where tourism has been affected by external forces, this, ironically could present an opportunity for those travellers wanting to experience a wonder of the world without, seemingly, half of humanity there to share it with you. Be prepared to feel a little let down when you visit some of the world's greatest landmarks; the reality is that in some instances I have found that the reality does not match up to the hype and expectation - fuelled by photographs which have been heavily filtered and shot from misleading angles.